Brazilian design crowdsourcing startups We Do Logos and Logovia announced their corporate merger, although both platforms should keep on existing separately. “Logovia will keep on operating as a self-service platform, more accessible to small business owners,” said We Do Logos’ new expansion director Carmelo Queiroz (translation ours). Expansion is one of the key goals of this deal, as the companies now hope to go international. Together, they also plan to grow from 100k to 300k registered designers by the end of the year. We Do Logos had been accelerated in Rio de Janeiro by 21212, while Logovia received investment from VC firm Initial Capital. Two other Brazilian startups also merged in late April: online eyewear and contacts retailers EÓtica and Lema21. According to TechCrunch, eyewear is a $26 billion business in Brazil, and online sales can only go up from their current 0.5 percent. Lema21 had raised $.4.2 million from several VCs and angels, while EÓtica’s investors include Kaszek Ventures and eBricks. Publicly traded company Globant announced the acquisition of software development firm Clarice Technologies. While this is far from being Globant’s first acquisition, it had never bought a company with operations in India before. Hispanic media giant Univision acquired media outlet The Root, which is targeted at African Americans and boasts 5 million monthly unique users. Its publisher Donna Byrd commented on the deal, saying, “We are excited about our new relationship with Univision. The combination of our two companies strengthens our collective ability to engage the changing American population. US social media monitoring company Sprinklr will buy Brazil-based Scup, Startupi reported. The acquisition is part of Sprinklr’s global expansion strategy. As for Rocket Internet’s carpooling startup Tripda, it bought its Argentine counterpart Hagamos Pool to boost its growth, Pulso Social reported. Accel Partners led a $10 million investment round in Brazilian ed-tech startup EduK, with participation from previous investors Monashees Capital and Felicis Ventures, TechCrunch reported. Meanwhile, fellow Brazilian education platform Geekie raised a $7 million Series B round from Mitsui & Co. and Omidyar Network, as well as previous backers Gera Venture and Virtuose. It plans to the new funding towards market expansion and product development of its adaptative learning solution, CrunchBase reported. 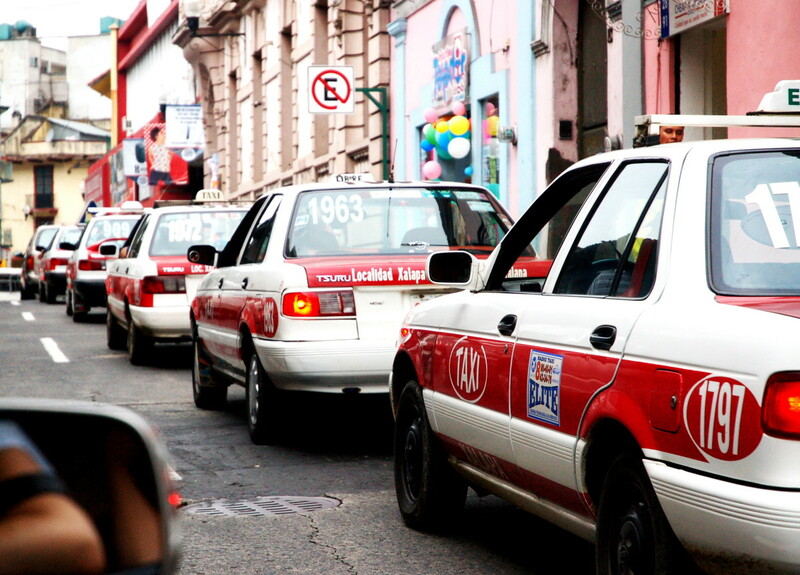 Corporate taxi management company Wappa invested R$ 5 million (around $1.59 million USD) into Expense Mobility, which helps businesses manage their employees’ mileage allowance. The acquisition is part of Wappa’s will to reinforce its B2B offering and cover several transportation options, Startupi explained. Secure messaging company Criptext raised a $500k funding round from Latin American and Caribbean angels, according to Pulso Social. The startup has business operations in New York City and Panama and a dev team in Ecuador. It is led by Panamanian entrepreneur Mayer Mizrachi and his two Ecuadorian co-founders Luis Loaiza and Alberto Vera. Construct LATAM raised a $350k investment from “Silicon Valley investors and a group of executives from General Electric and Google,” its CEO Drew Beaurline told TNW. Some of the funding was raised through equity crowdfunding platform Fundacity. The startup focuses on the construction sector by helping teams communicate around a building project in real-time. It is available on Android, iOS and a recently-launched Web application. It had previously received a grant from federal program Startup Brasil. Home cleaning marketplace Hogarú raised around $300k from Medellin-based fund Velum Ventures, becoming its 12th investment, Pulso Social also reported. Start-Up Chile‘s follow-on fund SCALE attributed its first nine equity-free grants of $100k each, TechCrunch reported. The selected companies are Bureo, GroupRaise, Guarnic, Recorrido.cl, RetiDiag, TeliportMe, Themidgame, Uanbai and ZenHub. All are Start-Up Chile alumni and committed to remain in Chile for another year while mentoring fellow Chilean startups. Members of angel network Anjos do Brasil backed two new early-stage companies: online marketing startup Onda Local and team management tool Equipe Remota. As Startupi pointed out, it has announced a total of six investments in the last six months, although deal values weren’t disclosed. The BBC’s commercial arm BBC Worldwide (BBCWW) launched a mobile kids-focused subscription VoD service in Mexico, C21Media announced. The app features content from preschool channel CBeebies. It should roll out into other Latin American countries and in the US Hispanic market in the near future, with dubbing in Spanish and Brazilian Portuguese. Brazilian IT outsourcing firm BRQ launched operations in Chile, ZDNet reported. The move is part of BRQ’s Latin American growth strategy. One of its plans is to work for existing corporate clients who are also expanding their activities beyond Brazil. Online music service SoundCloud launched a local version of its website for Brazil, VentureBeat reported. While it is its first translation, other localizations are expected to follow. Its iOS app had already become available in Brazilian Portuguese a few weeks ago. through a personal link that they can share in lieu of a phone number. While it is not available yet as an iOS app, it also works through web browsers supporting the WebRTC technology. Toky’s founders are Paraguayan entrepreneurs Carlos Ruiz Díaz and Oscar Sánchez, who are currently taking part in Wayra México‘s acceleration program. Uber hit new road bumps in Latin America, with thousands of Mexico City taxi drivers slowing down traffic with a giant protest aimed at getting the government to ban their new rival. However, Uber used the protest as an opportunity to market its service, offering free service “on a day so complicated to move” around the city. The company also managed to strike down a legal injunction in São Paulo, where its operations don’t seem endangered anymore, at least in the near future. According to ZDNet, Uber is also in the process of boosting its corporate offering in Brazil, where Uber for Business is already available in the four Brazilian capitals where Uber operates: Belo Horizonte, Brasília, Rio de Janeiro and São Paulo.